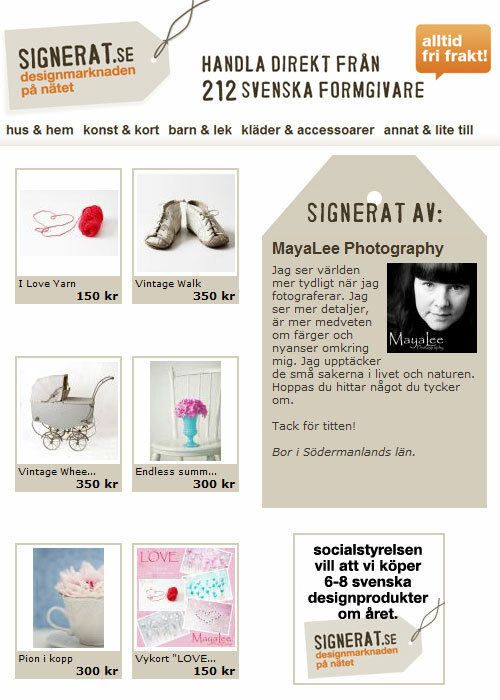 Nu finns MayaLee Photography på SIGNERAT! Självklart så har jag kvar min lilla shop på Etsy också, där jag säljer till resten av världen. I’ve started to sell my pictures at SIGNERAT, a Swedish site on the net where designers can reach the market with new and unique products. Come and visit me! (only in Swedish) I still have my little shop at Etsy of course where I sell mostly to the rest of the world.